With progress on my Home Office officially over (I love the space, it's turned out beautifully and you should absolutely check it out! 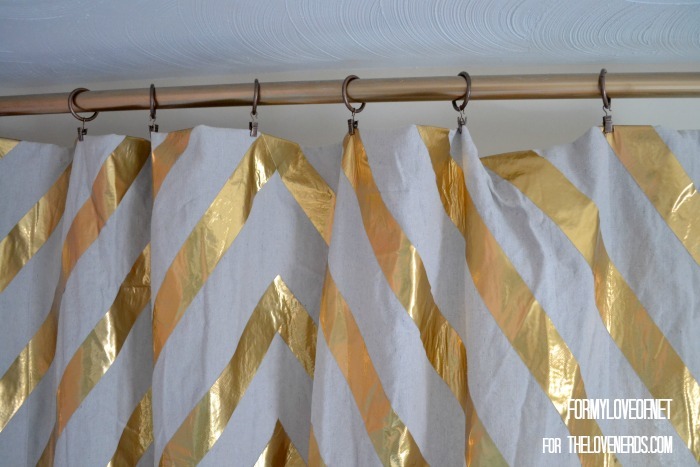 ), it feels like the perfect time to go over my radical gold duct tape curtains. I spend more time than I'll ever admit to watching fashion and beauty Youtubers. One YouTuber in particular who inspired me in this project is Evelina Barry. She's a fashion Youtuber with an amazing film space. 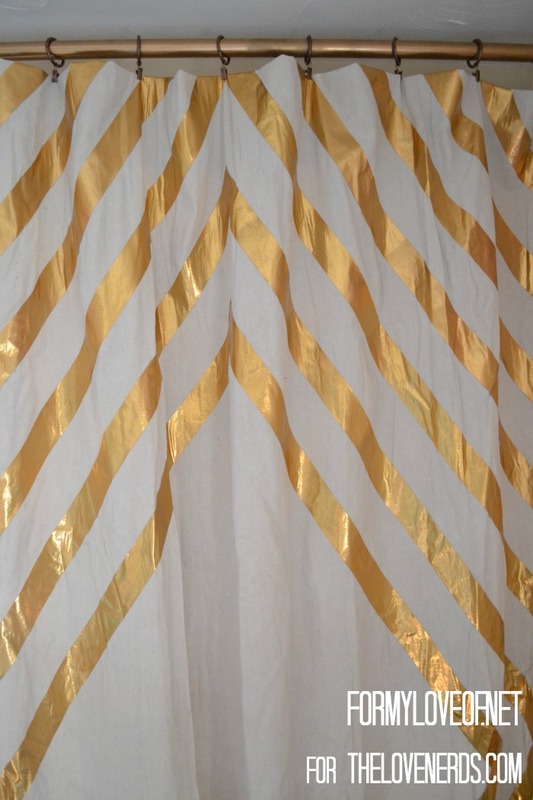 One of the walls she uses to film in front of is white with very cool gold painted chevron accent wall. 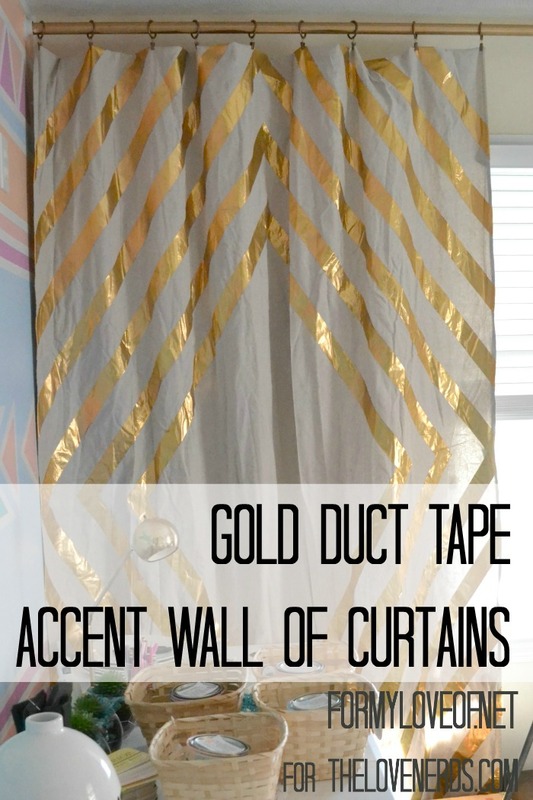 I already have a Southwestern Inspired Accent Wall in my office, so I thought curtain panels that I could pull together would work best for my needs. 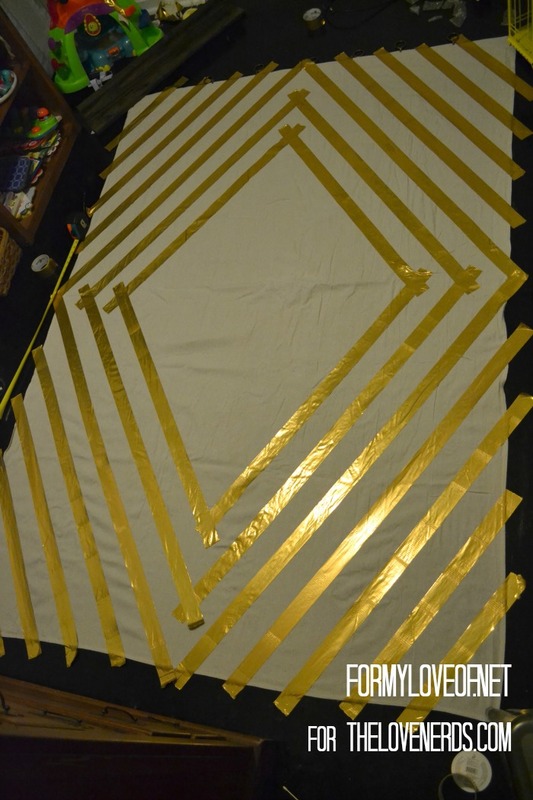 The thought of taping out the design, painting it, then peeling back all that tape felt daunting. I just finished a project like that and just wasn't feeling up for taking on another project like that so soon. That's when Jenna LaFevor's Duct Tape Trim Curtains came to mind. I remembered enjoying her project a while back and I knew I could apply the same concept to my accent wall of curtains. I started out by Washing, Drying, and Wrinkle Releasing 2 canvas drop clothes. The "panels" were still pretty wrinkly despite being run through the wrinkle release so I laid them out in the most empty room of our house and flattened them by placing heavy objects along the corners. Once they were flat enough, I used a tape measure to find the center of each side, and a marker to mark that spot. Once the center point was found, I folded over the side that I wanted to be the top and clipped my rings over the fold. By doing this after marking the center, it created a more diamond shape. 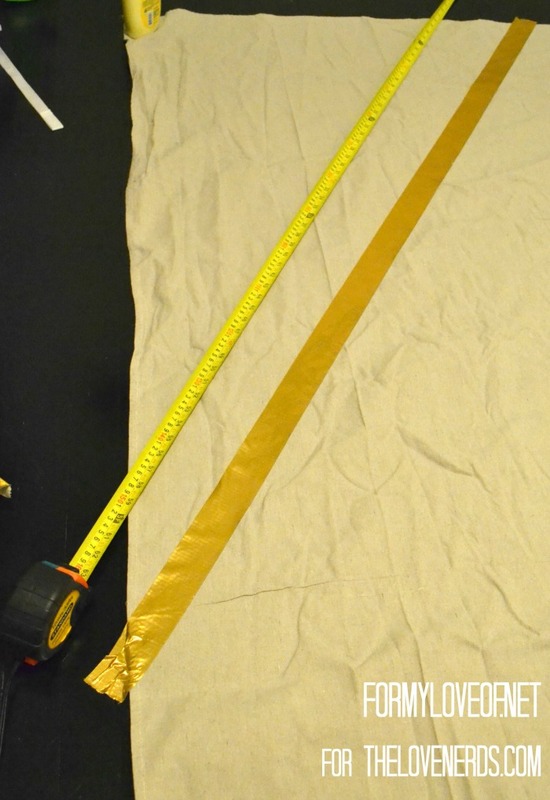 I used a tape measure and yard stick to connect center points and lay a piece of duct tape. 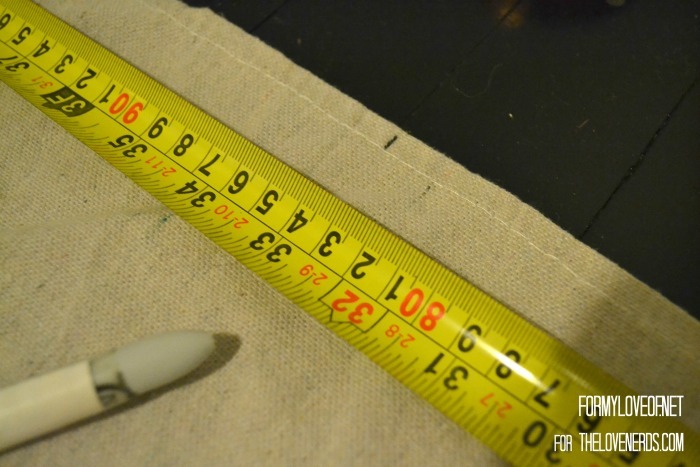 Once I had the center points connected, I used my yard stick to create a space between lines of duct tape. The distance used was 1 roll of the yard stick. I did a roll, laid down a line of duct tape, another roll, line of duct, and so on and so forth. I used the excess tape along the outisde of the panel to my advantage to tape the panels to the floors. The drop clothe would move all over the place as I moved around atop it and taping the edges down like this helped a lot! 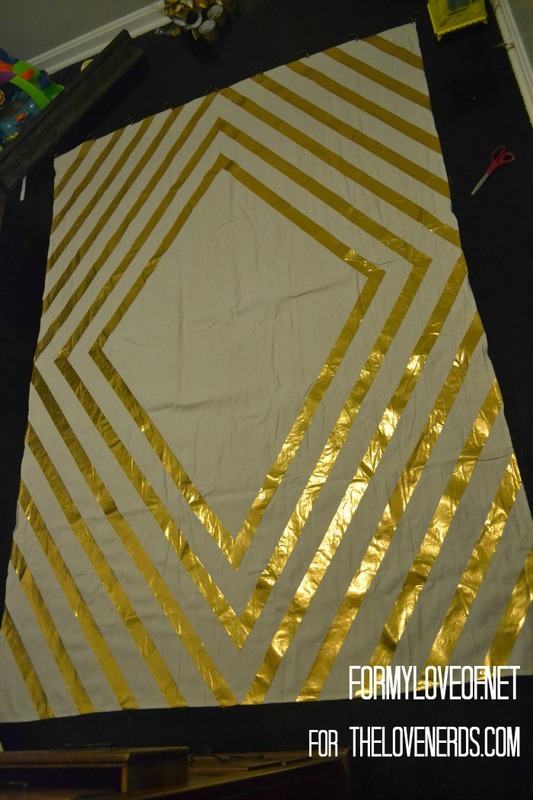 When I had the design as far as I wanted to take it, I lifted up those edges of tape and folded them under. The corners of the inner diamonds I just snipped to a point with scissors. Then I hung them up and stood staring at them with a huge grin on my face. I really like them! I think they turned out cooler in person than I had imagined them! The ripples made when hung are so groovy. I love the shine that the tape provides and the unique way the pattern catches the eye. I bet this would look cool in any of the colored tapes. Perfect for a kid's room! I can hardly decide what it is I first want to say and do in front of these cameras. I'm feeling completely inspired and hope you'll stop by my YouTube channel in the future to see what happens! This is one of many projects I worked on for my Home Office. 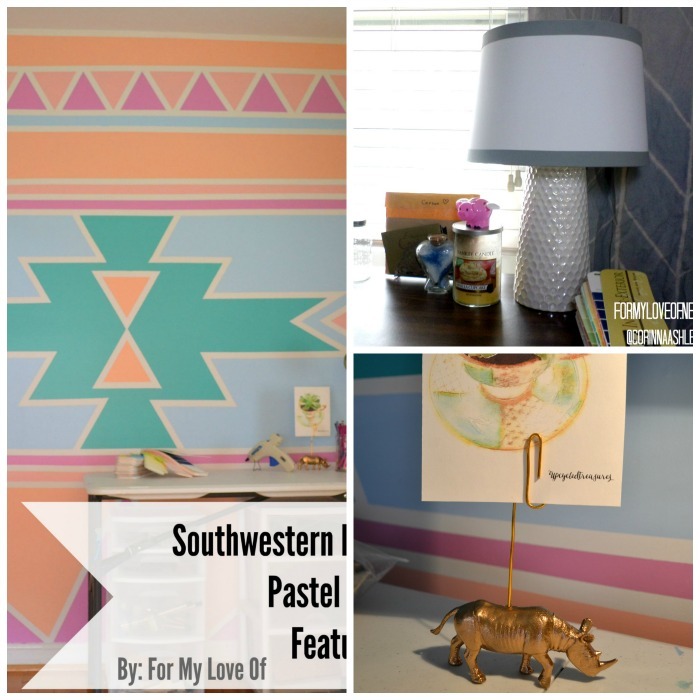 My office is pretty stellar if you don't mind my saying so; Don't forget to check out some easy DIY projects like the Southwestern Inspired Accent Wall, DIY Vase Lamp, and Gold Rhino with a Giant Paperclip for holding cute pictures and notes! I love these, Corinna! That gold duct tape is amazing. WOW the curtains look beautiful...I would definitely put this on ths list i need to do ASAP...You did such a good job looks really pretty. The curtains are absolutely fun!! Love how they turned out! 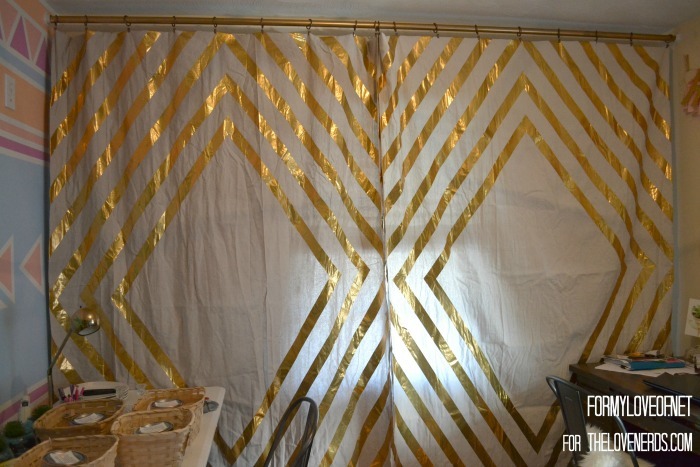 Love this curtains! Very cute! Thanks for sharing with us at Your Designs This Time! Thanks guys! Thanks for taking the time to stop by and comment! Thanks Christine! I appreciate the encouraging feedback!